“Emotional Well Being” Workshop October 27th, 2014, in Westport, Connecticut. Details to follow. 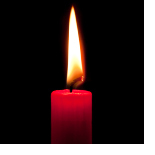 Support Group for Bereaved Parents in Westchester County, NY, begins again in September. If interested, contact me at frandorf@aol.com. “Emotional Well Being” Workshop: Jewish Family Service Wellness Symposium, in honor of Breast Cancer Awareness Month, Darien, CT.
Shining a Light on Grief Tuesday, October 23 • 7 p.m. Helping Children and Families: Carole Geithner, LCSW and author of If Only, a fictional story of dealing with grief through the eyes of a thirteen year old girl. PrEditesented by Jewish Family Service in partnership with Stamford JCC, Den for Grieving Kids and the Center For Hope. Presentation and panel discussion with Fran Dorf, MA, MSW; Linda Weatherseed, MSW, and Amanda Romanello, LPC. Questions and answers to follow. Writing to Heal by Fran Dorf – Wednesday, November 7 • 7:30 p.m. Writing to Heal, a workshop for the bereaved, professionals, or those struggling with any trauma or difficult life experience. 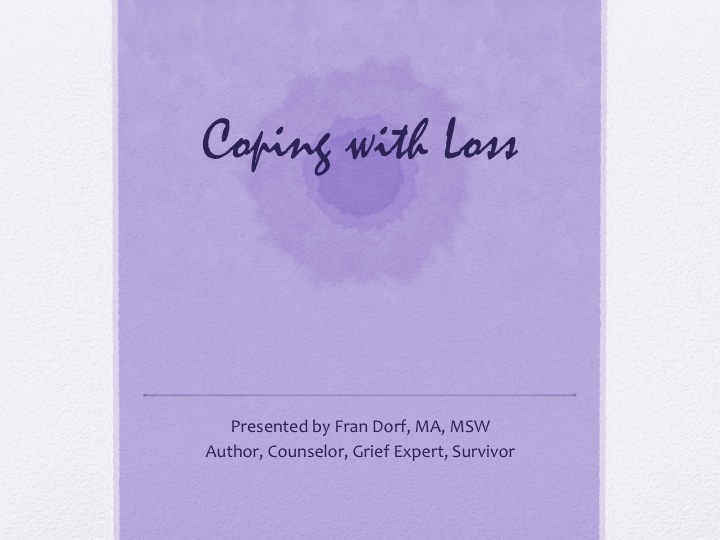 Presented by Jewish Family Service in partnership with the Stamford JCC, the workshop will be facilitated by Fran Dorf, MA, MSW who is a writer, bereaved mother and therapist. No previous writing experience is necessary. Free and open to the community.The panel and the writing workshop are open to the community free of charge. For more information, please email me, or Eve Moskowitz at 203.921.4161 or emoskowitz@ctjfs.org. Writing is a process by which the human soul can reveal itself and find expression. When we are deeply wounded, writing can help us turn the chaos of emotions into narrative. Real scientific research, has shown that this process, which involves a transfer from the emotional/reactive part of the brain to the logical/reasoning part of the brain, is remarkably effective in promoting both physical and mental wellbeing, and can reduce debilitating and destructive emotional reactivity, especially that which results from trauma, grief, illness, loss. Be in the present. Turn emotion into a story. Write.